What do you get when you take the B out of the word bread? Why read of course and that is what I got when I turned a vintage breadbox on its end. 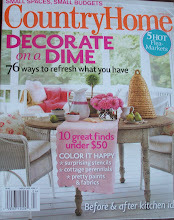 and got a great storage box for books and magazines--this is the first thing that sold at the market Saturday! 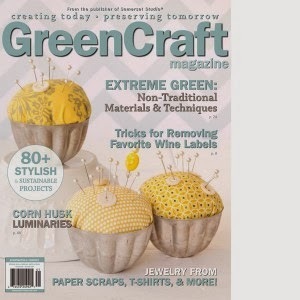 Find more ideas about Someday Crafts! Ugly step sister number two, had good bones, she just was a little tattered from the years of use (perhaps a puppy had chewed on her). I started with the fabric for her new "dress". I pulled colors from it to paint the stool, cut a new seat, padded and upholstered and voila, the second ugly step sister is ready for a new home! 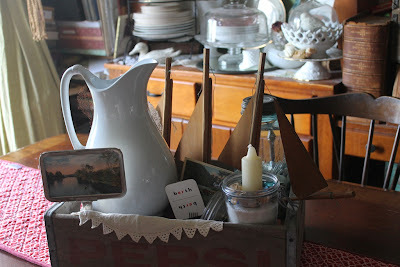 Find more ideas at Donna's Funky Junk Interiors! Thanks all for your nice comments on the first ugly step sister and yes, I hand painted the flowers, from my head, although I am sure I have seen fabric or scrapbook paper that is similar and it stuck in my head. Step sister number two should be ready for her reveal Friday night. Until then, enjoy these great links from last week, link up this week, check out each other's links, comment, smile, share! 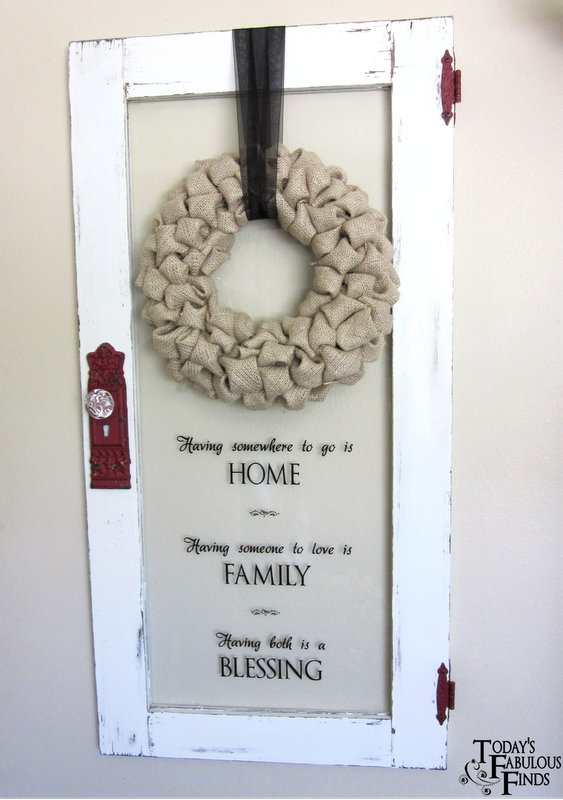 ﻿Today's Fabulous Finds shared an adorable old door redo! 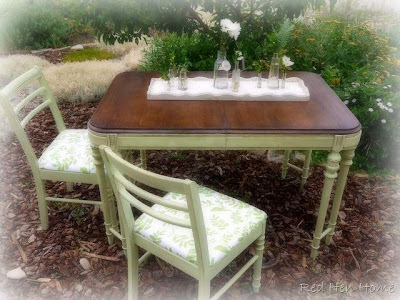 Red Hen Home's tables and chairs are so fresh! 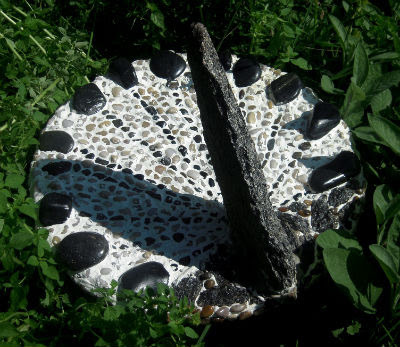 Marvelously Messy's mosaic sundial makes me smile--I loved learning how to use a sundial as a kid. Hoe glamorous are these pink candlesticks from Blue Babes Create. 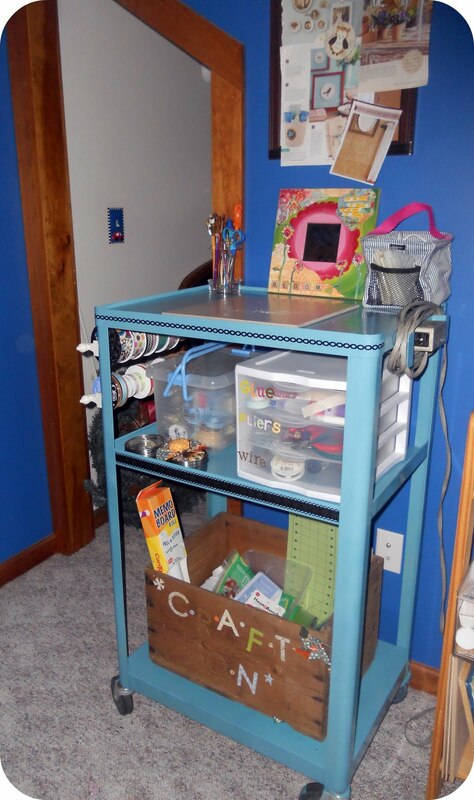 I need Poppies and Pinwheels' craft cart! Mexican pasta shellsfro What's For Dinner, look yummy! I am going to try a casserole version using gluten free shells! ﻿﻿﻿Looking forward to all of your fun under $100 ideas this week! The story continues (see post below if you missed the once upon a time part). The first ugly step sister was tired of being called cheap and glossy. complete with new jewelry (I had to retrofit handles, used washers to hide the old holes). Step sister number one hopefully will soon be living a new, glamorous life in a new home. Once upon a time there were three ugly step sisters. and an "altered" child's chair (the legs have been cut off and then a board and wheels added). Stay tuned this week to see if they live happily ever after. So much to do, so little time, so on to some wonderful links! I think these little French blackboards from Shabby Art Boutique are oo-la-la! 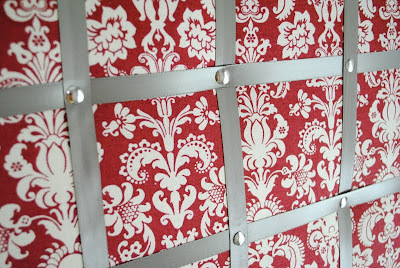 I adore this fabric on this great bulletin board by J and J Home. This little blue table by Primp has such a great color. 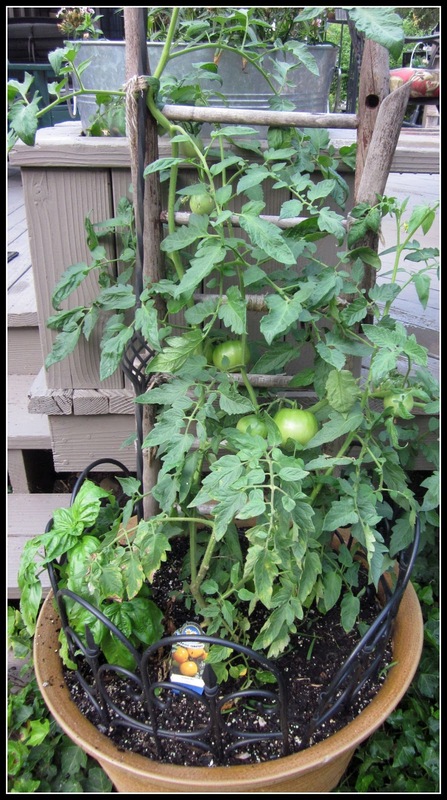 Homeroad's chair turned garden ladder is one smart repurpose! A Full Cottage put together the cutest little summer centerpiece. ﻿﻿Looking forward to all of your fun under $100 ideas this week! I have been having fun with my Cricut and vinyl. I decided I needed to have some numbers on a piece or two, after being inspired by the Sisters of the Wild West. I wanted the wood to show through so I used my cricut to cut the numbers out. I got rolls of this border vinyl a few years ago at Lowes when the were clearanced to $3 a roll. I painted over them, peeled them up and then used stain over the top. I had made sure the areas with the numbers were sanded well so they would take the stain well. 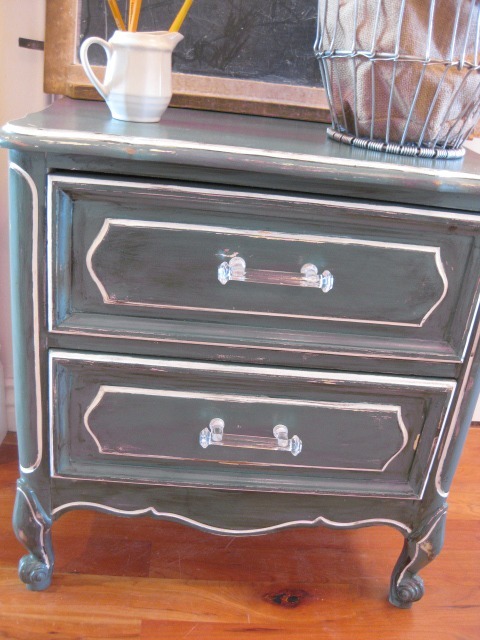 I am loving this look and you can count on me doing more vinyl reverse stenciling. PS--Stool tutorial still to come--shot it all in RAW which blogger doesn't support. Oops, still learning the new camera! Oh, and these were taken with old camera still. Find more ideas at Be Colorful. I wasn't quite sure what I was going to make when I started this project. 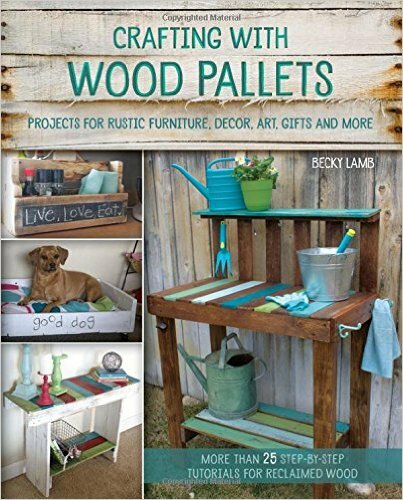 I had the table top, knew I want to cut something out with the cricket and put paint over the top and then pull up the vinyl and stain it. First I was going to build an end table, but since the top was somewhat skinny and longer, I decided sofa table. But, instead of going into my house to measue how tall a sofa table should be, I just took a guess and eye balled it, which ended up a little too tall. Rather than cutting it down, I decided to add the shelf on the bottom and make a whatever table, great for an entry or in the kitchen or even behind a sofa. It was a fun and quick piece to make, using things I had on hand, and even htough I had no plan when I started, I am pleased with the results (it sold yesterday too!). One more project made from swing set wood, can you handle it? This one is a fun little shelf with picket fence sides. Sorry, pics are taken at farmer's market. My pile has dwindled to almost nothing--I will miss you beautiful FREE wood, it has been fun!